Motor-mad Daniel Fox was looking to buy a classic mini – and ended up bagging one driven by his granny 35 years ago! 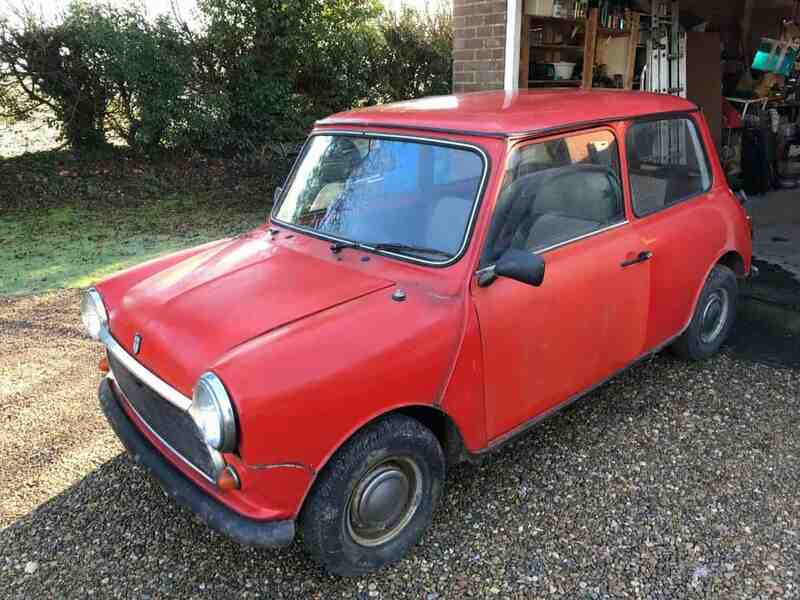 Daniel, 36, was looking on-line for an original shape mini when he came across one that caught his eye. He noticed the last two letters of the number plate – and recognised they were the same ones as the car his nan drove back in the 1980s. ‘Amazed’ Daniel, from Great Gransden, Cambridgeshire, bought the car which was being sold in a Norfolk garage – but remains coy about how he paid. He said: “It’s been a whirlwind. It’s been amazing. You couldn’t put odds on this. After days of organising the transaction, Mr Fox was reunited with his nan’s Mini on Sunday (Feb 3). The 36-year-old said he paid “too much” for the car and about “three times as much” as his sister sold it for in 1994 but he had to buy it because of the sentimental connection. He added: “I rang my sister and she couldn’t remember what she had for dinner last night let alone the number plate. “Then I spoke to my dad – who was trying to convince me that my nan’s Mini was green. Mr Fox said his sister, Andrea, who inherited the car after their grandmother Joan died in 1990, could not stop crying after hearing the news. Mr Fox’s sister owned the car for four years before part-exchanging it and losing contact with the Mini for 25 years. The red Mini also boasts “dog-tooth interiors”, which makes this particular car very distinctive. He added: “It’s very rare to see a Mini in this condition. It’s exactly how it was when my sister had it – almost in it’s factory specification. Mr Fox said it took three men to push the car onto a recovery truck to drive it home as the Mini had not seen daylight in years. The relieved owner, whose drive is apparently littered with old cars, is aiming to get it running and pass its MOT before sorting out the cosmetics. Mr Fox said he is ultimately hoping it will be ready to take part in a classic car rally in May that goes from Ipswich to Felixstowe. This year, Mini is celebrating its 60th anniversary and since rediscovering his Nan’s car, Mr Fox has received three invites to Mini events around the country.